As a Registered Nurse that works in dermatology and aesthetics, I often get the question. "What should my skincare routine be?" Before working in this field, I didn’t pay that much attention to my skincare routine. I washed my face, kept it clean, made sure I did not sleep with make up on, and put on moisturizer. That was it. After getting more educated about sun exposure, aging, and skin damage, I started to change up my routine and pay more attention to how I take care of my skin. When I’m at home, my skincare routine has at least 10 steps and can take me up to half an hour (I know, a little crazy). So what do I do when I'm traveling? I downsize and stick to the necessities. If I'm going to an event like a weekend getaway or music festival, it can be a little difficult, but below I've outlined some skincare routine essentials that will keep your skin radiant and luminous even when you're out and about in the city or in nature. Investing in a nice pack of facial wipes is worth it. 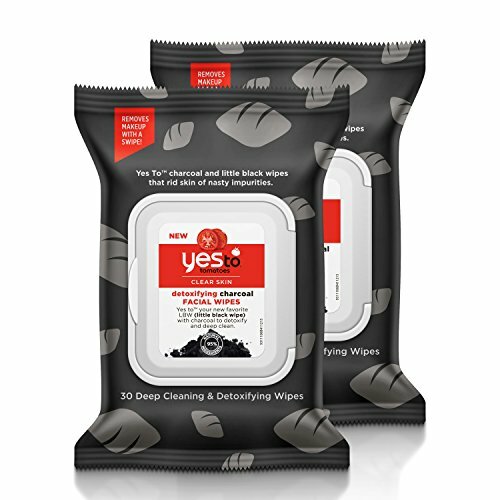 I really enjoy the Yes to Tomatoes Detoxifying Charcoal Wipes. I’m a big fan of activated charcoal as an ingredient because of the benefits it has. Our skin gets clogged up with toxins throughout the day and charcoal works by binding to toxins and pollutants to refresh our skin. This wipe is also gentle and alcohol free. A perfect addition to your skincare routine. Another great alternative if you don’t want to spend your money on facial wipes, is good ol’ baby wipes (it’s multi-purpose too!) Make sure to pick one that’s for sensitive skin - fragrance-free, alcohol-free..basically with the purest ingredients (remember your face is more sensitive than your behind!). I recommend Pampers Aqua Pure Wipes. Some people will try to skip out on this step and say you don’t need this, but keeping your skin hydrated is a must! Dehydrated skin is the perfect place for oil to build up, which results in irritation, breakouts, and not to mention you’re pretty much accelerating the aging process on your face. Any moisturizer that you are used to for your skincare routine will work just fine, but my favorite is Kiehl’s Ultra Facial Oil-Free Gel-Cream. It’s gentle, non-comedogenic, refreshing, super moisturizing, but lightweight on your skin. Plus it’s free of all the yucky things such as parabens and alcohol. 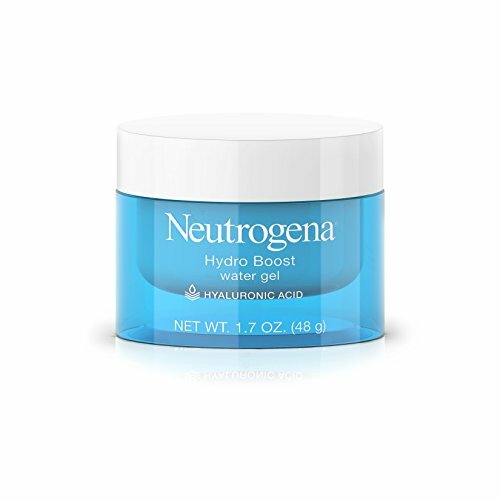 A great alternative to this is Neutrogena’s Hydro Boost Hyaluronic Acid Hydrating Water Face Gel Moisturizer. It’s half the price of the Kiehl’s moisturizer but it has the same moisturizing properties. Not to mention it has hyaluronic acid, which holds 1000x its weight in water...extremely hydrating! This might be a personal preference, but I am the type of person that cannot leave the house without a lip balm. I can’t stand the feeling of dry lips! This might not be an essential need for everyone's skincare routine, but for those of you that are on the same boat as me, here are my recommendations. My newest obsession is Sol de Janeiro’s Brazilian Kiss Cupuacu Lip Butter. It is infused with all the good stuff such as coconut oil (moisturizing, antibacterial), acai oil (anti-inflammatory and filled with antioxidants..great for anti aging), and cupuacu butter (extremely hydrating, and is a great sunscreen), and not to mention it smells amazing. Jack Black’s Intense Therapy Lip Balm SPF 25 is also a great option because it has sunscreen. Lastly, the most affordable one is Aquaphor Lip Protectant + Suncreen. You really can’t go wrong with Aquaphor. You can live a few days without a hydrating mist, but I personally enjoy it and can’t go anywhere without it. It’s one of those things that just refreshes my skin and wakes me up. I always keep a bottle with me for my skincare routine. Mario Badescu’s Facial Spray with Aloe, Herbs, and Rose Water has been a favorite for years. It just gives you that radiance and glow, while moisturizing your face. One of the main ingredients is rose water which is great at restoring the natural pH of your skin, plus it helps moisturize, depuff, reduce aging, and removes excess oils from your skin to name a few. I also like Evian’s Natural Mineral Water Facial Spray. I get a lot of heat for liking this product so much, especially because it’s basically just water in a can. But I love it. It just feels so good and refreshing on my skin, and it gives me that hydration I crave without the added ingredients. Lastly, the definite must for any skincare routine is sunscreen. I am a big advocate for wearing sunscreen. I tell everyone to wear sunscreen even when it’s not sunny. The sun is the biggest culprit for aging, skin damage, and yes, skin cancer. We love nature and the outdoors and of course the sun, which makes it a bigger deal for us to protect our skin from it whether there the sun is out or not. I tell everyone this - the sun emits UV rays all the time, even when it's overcast. In fact, you’re more likely to put yourself at risk for skin cancer when the sun is not out. Obagi Sun Shield Matte Broad Spectrum SPF 50 is my go-to, nothing else. I wear it every single day. Its main ingredient is zinc which is the best ingredient any sunscreen out there can have. It protects from both UVA and UVB rays, it’s filled with antioxidants, very soothing and a great moisturizer. It is a little heavy on the price tag, but there are a lot of other options out there, try to get one with zinc. Note...don’t spend all your money on a sunscreen with a higher SPF. Something I learned is that companies are for some reason, allowed to make the SPF on the bottle whatever number they want, even if it’s not true (weird, I know). All you really need is SPF 30 to protect your skin from 97% of UVB rays. So save yourself some money and don’t get tricked into buying a product that claims it has SPF 100. Apply SPF 30 half an hour before sun exposure and re-apply every 2 hours. Hope you enjoyed reading my skincare routine order! That's it! What do you think about my list? Would love to hear about your skincare routine below.